I know it isn't May yet, but it will be soon! 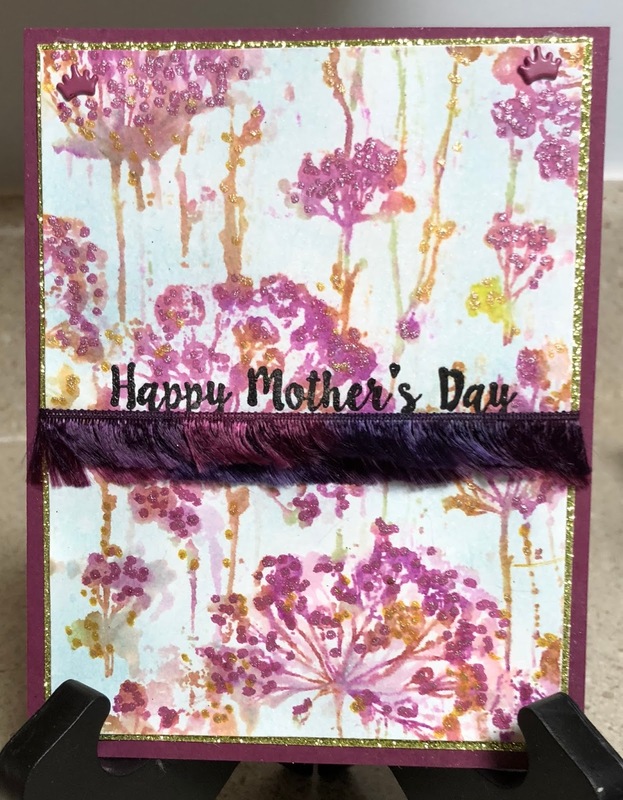 And May means Mother's Day and cards! So I chose to make a simple Mother's Day card for your inspiration. I inked up the entire flower panel with a light green ink. Then I used hot pink, fuchsia, and yellow dye-based markers to add random color all over the flower parts of the image. I spritzed the stamp with water and applied pressure to the paper on the stamp. I spritzed the stamp again and reapplied the card stock in a slightly different spot. I was not trying to stamp again in the same place but in a slightly off-set manner. Then I heat set it. I spritzed with gold and pearl glimmer spray. I heat set it. 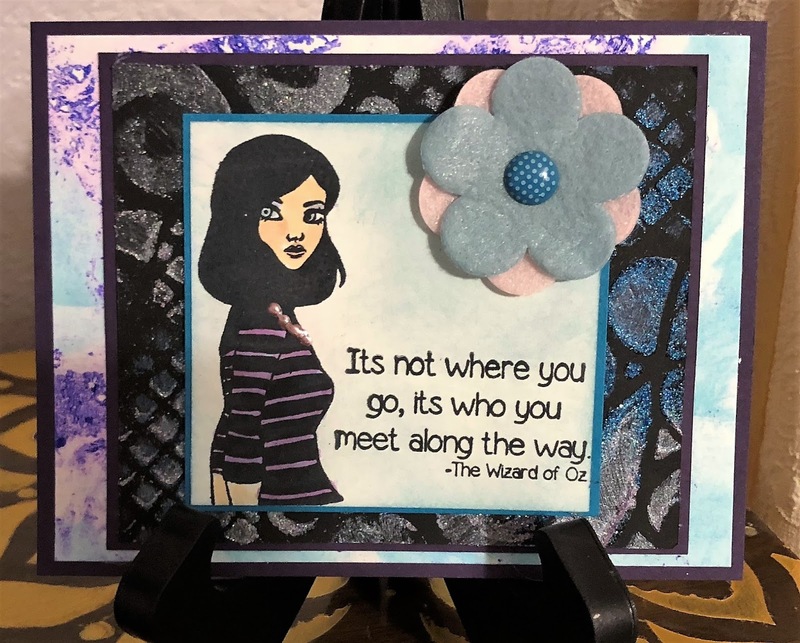 I added dots of color from the Nuvo Glitter markers, and layered it on glitter paper, added the the greeting which was heat embossed with clear embossing powder. I sponged blue ink in the background. The fringe yarn was added as an embellishment. 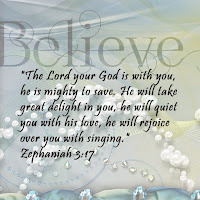 I hope this has inspired you for your own other's Day cards. Please remember if you use the code TJ10Judy you can get 10% off all products in the TJ store. Have a wonderful day -- and remember not only is this Sunday Easter Sunday, but it is alsop a new Blog Hop day for new releases! Hope you are getting inky! 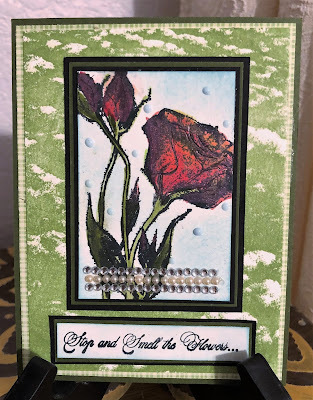 I used three Technique Junkies stamps for this card: Stylized Roses - http://techniquejunkies.com/stylized-roses/ , Stop and Smell the Flowers - www.techniquejunkies.com/stop-and-smell-the-flowers, and Clouds - www.techniquejunkies.com/clouds/. Instead of using blue for clouds, I wanted the image to look like hills of grass so I used green. The roses are painted with Twinkling H2Os. And the sky is sponged with blue ink. Layers of background paper and card stock add interest, and rows of pearls add more interest and dimension! 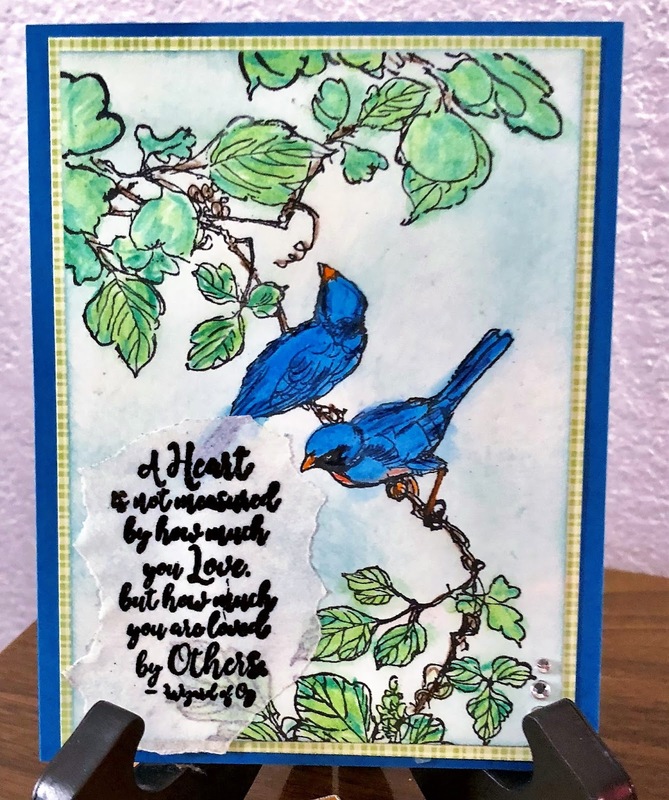 You will truly want to look over all of the lovely stamps and choose several stamps so you can take advantage of the 10% off when you use the code TJ10Judy. Have a wonderfully creative day and get inky! Technique Junkies Veiled Woman - http://techniquejunkies.com/veiled-woman/ - is one of my favorite stamps. I paired it with a Technique Junkies Stamp from the set Wisdom of Oz - www.techniquejunkies.com/wisdom-of-oz-set-of-7/. 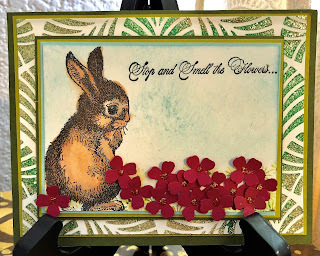 The background is created with a key stencil and a glimmer spray. I added a tiny key and adhered it with a glue dot. A lace knot finishes the card. The woman is colored with Copic Markers. 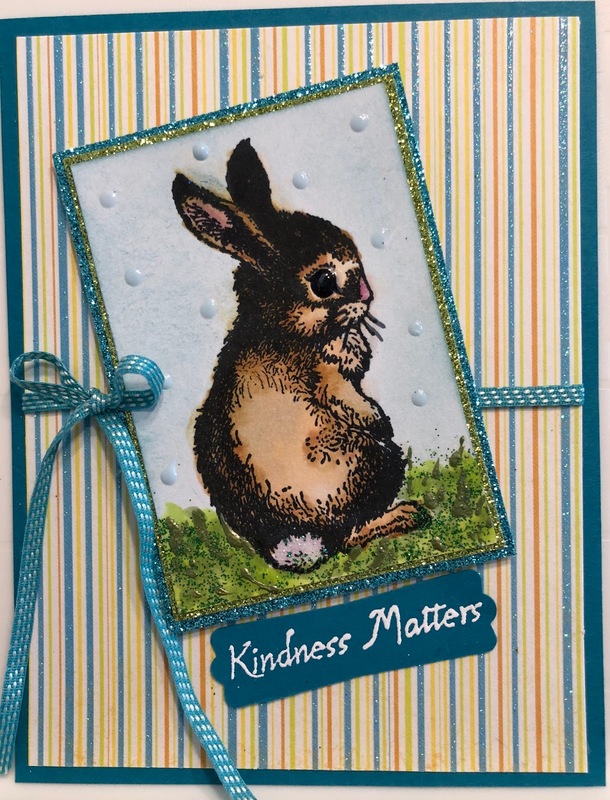 You will truly want to look over all of the lovely March stamps and choose several stamps so you can take advantage of the 10% off when you use the code TJ10Judy. I used part of one Technique Junkies stamp - www.techniquejunkies.com/be-pretty/ and a verse from Wisdom of Oz - www.techniquejunkies.com/wisdom-of-oz-set-of-7/. The image is colored with my Copic markers and the sky is sponged with blue ink. 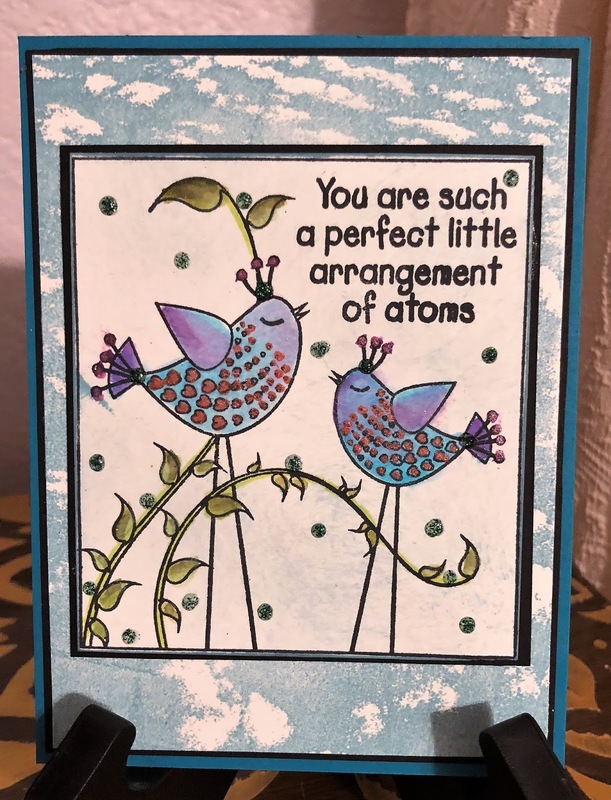 I used two Technique Junkies Stamps to create this card: Veins - http://techniquejunkies.com/veins/ , and Perfect Atoms - www.techniquejunkies.com/perfect-atoms/. I stamped the Veins with a light blue as a second generation stamping so the ink would be lighter. 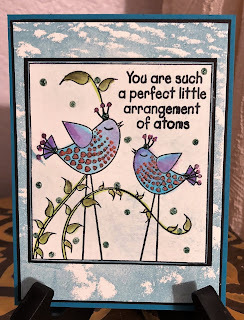 Then I stamped Perfect Atoms with black pigment ink and heat embossed it with detail black embossing powder. I painted the image with Twinkling H2Os. Then I burnished blue ink over the veins outside of the main focal image of Perfect Atoms. That created a frame and yet you can still see the veins through the blue ink. Punched flowers with Art Nuvo drops on the centers finish the card. I used Little Bunny - www.techniquejunkies.com/little-bunny/ - a Technique Junkies Stamp of course. I used Copic markers to color in the bunny and I used one to draw some grass. Then I address some Some Art Nuvo glitter paste to add some green glitter, and some Art Nuvo drops to draw some individual strands of grass. I added some Art Nuvo drops to the sponged sky. And I added some Art Nuvo Crystal Glaze drops on the eye. 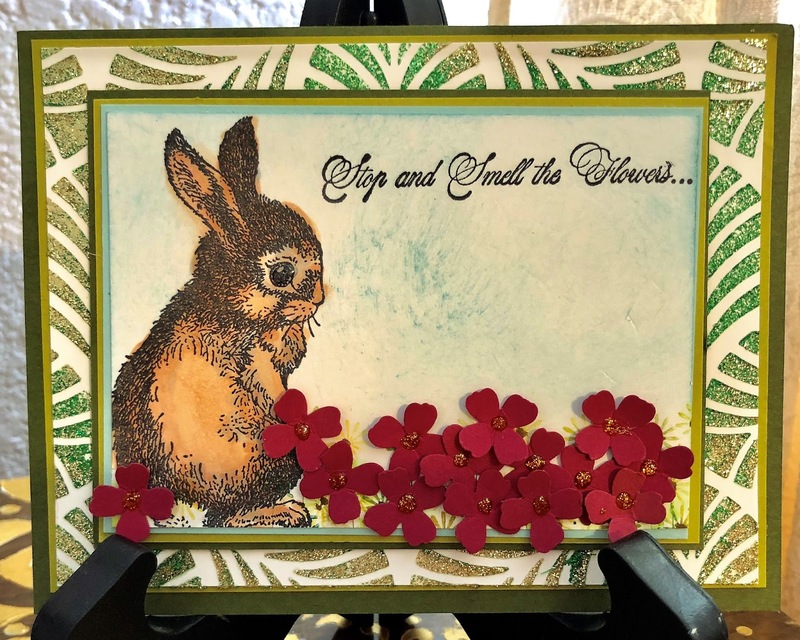 Glitter paper frame the little bunny. The challenge was issued on Monday March 12. Now with a sketch challenge the idea is to give you a starting point. It is not to replicate it exactly. So you do not need to have swirls and leaves for instance. 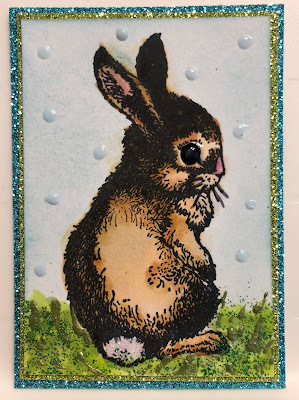 I decided to take my ATC challenge bunny and use it on the sketch challenge. 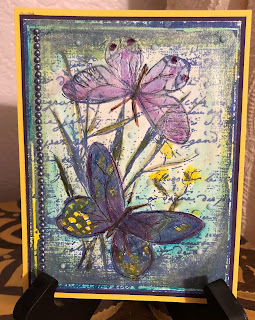 Over the years, many people have asked me just what do people do with ATCs they make? I have used in a variety of ways. Sometimes I use them as an embellishment on a scrapbook page and sometimes I have used them as the focal image on a card. I used some scrapbook paper behind my ATC and added a greeting which is a Technique Junkies stamp which is named Kindness Matters - http://techniquejunkies.com/kindness-matters/ . I liked the colors in the stripes of the background paper with the bunny. Very Spring like! 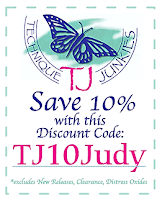 You can get a 10% discount by using the code TJ10Judy on nay product on the TJ website. Have a wonderful day and get inky while you participate in the Technique Junkies challenges! www.techniquejunkies.com/wisdom-of-oz-set-of-7/. 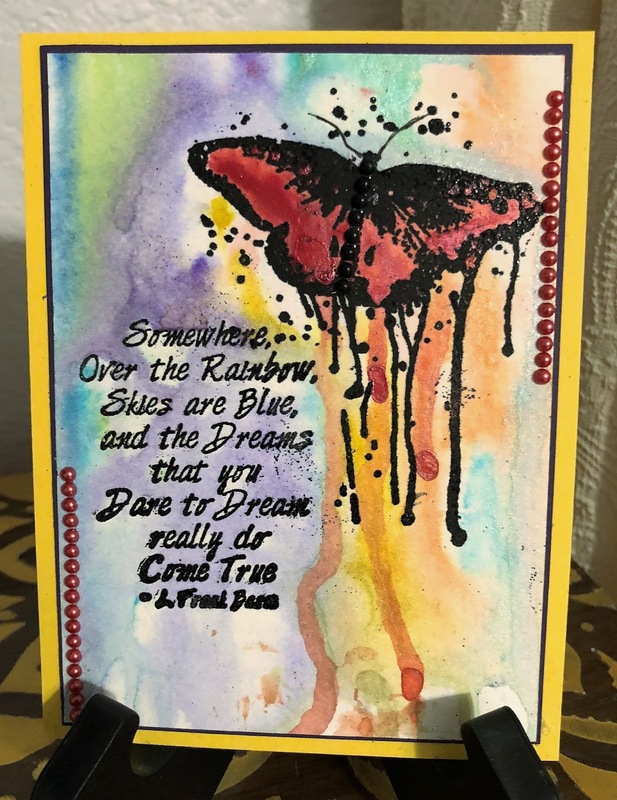 I used Water color paper and Brusho -- very similar to Color Burst powders - http://techniquejunkies.com/color-burst-powders-by-ken-oliver-caribbean-brights-6-pack/ . I added water from my aqua brush until the colors ran and dripped the way I wanted them to do. Then I added more pigment powder to the wings of the butterfly until I had the depth of color I wished to have. Both stamp images were heat embossed with detail black embossing powders. 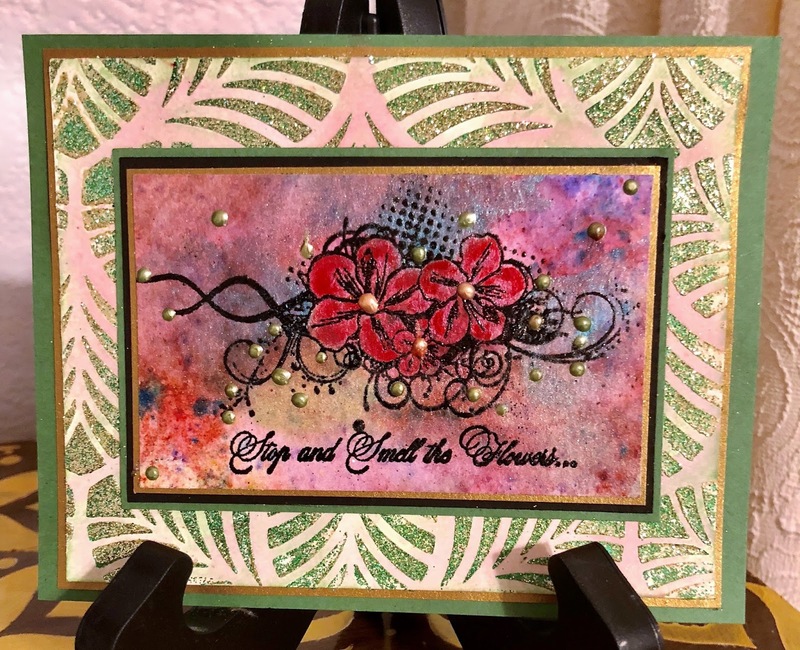 This Technique Junkies stamp Hibiscus Panel - http://techniquejunkies.com/hibiscus-panel/ - is such a lovely floral stamp. The second stamp is Stop and Smell the Flowers - www.techniquejunkies.com/stop-and-smell-the-flowers/ Both of these stamps were heat embossed with detail black embossing powder before i applied the Brusho powders. I created the background with Brusho -- which is very, very similar to the Ken Oliver Color Burst Pigment powders - which I have at home in Pennsylvania. I have the Color Burst powders here in Florida. I felt the pigment colors were a bit too intense so I used some clear water to absorb some of the color. Then I heat set it all. I used Twinkling H2Os on the flowers to make them really "pop." The leaf background is created with A Colorful Life Stencil - http://techniquejunkies.com/interlocking-leaves-stencil/ - and Art Nuvo glimmer paste - http://techniquejunkies.com/search.php?search_query=glimmer+paste . And I used Art Nuvo drops. 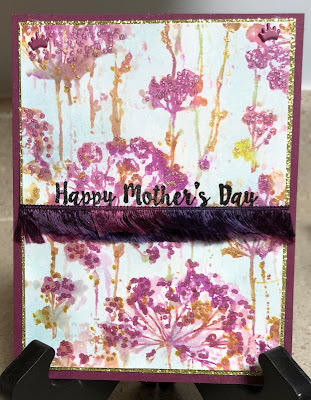 I used two different Technique Junkies Stamps for this card. I used a March release for the greeting - Wisdom of Oz - www.techniquejunkies.com/wisdom-of-oz-set-of-7/. The greeting is stamped and heat embossed on vellum and then attached with a adhesive from a Xyron machine. The birds are the stamp Watercolor Birds - http://techniquejunkies.com/watercolor-birds/. The birds and branches are colored with Prismacolor pencils and blended with rubbing alcohol. The sky is sponged with light blue ink. Tomorrow is the last day to get a 15 percent discount on all of the new March releases from Technique Junkies stamps. And if you use the code TJ10Judy you will get a 10% discount on everything else that is not discounted. I colored it with Copic markers, adding details here and there. It is truly a gorgeous stamp! 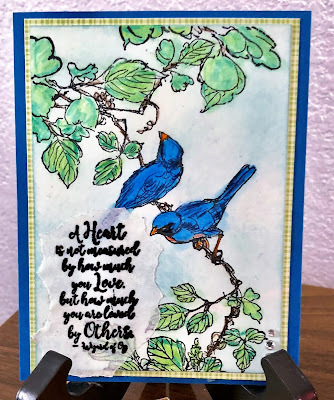 You will truly want to look over all of the lovely stamps and choose several stamps and take advantage of the 15% off sale of new stamps through January 8 but you may also use the TJ10Judy and get 10% off of anything else in her store. Oh Happy March! New Stamps To Enjoy! 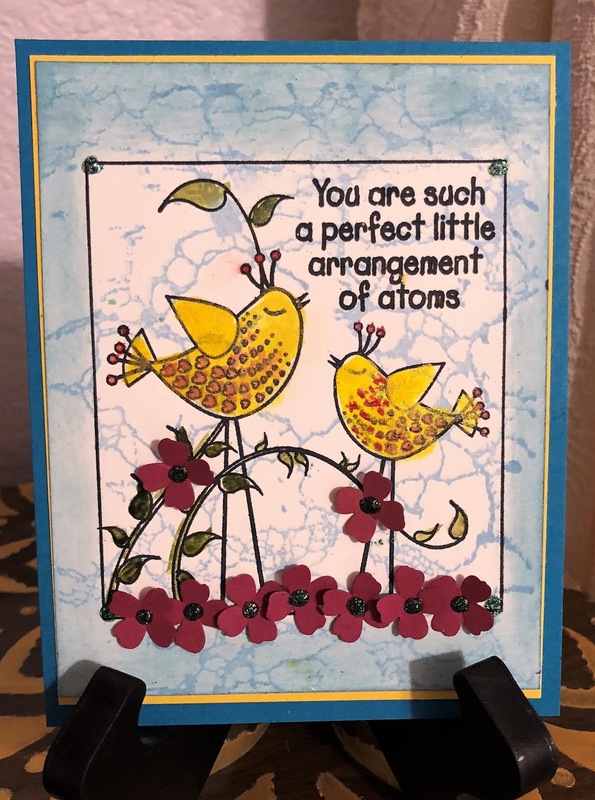 Yahoo, it is a new Technique Junkies Stamps Release Day! And that brings us to today's blog hop! 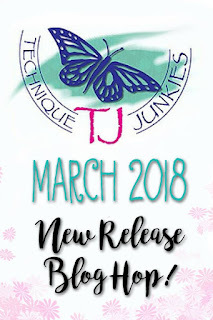 And it starts at The Design Junkies blog - https://techniquejunkies.blogspot.com/2018/03/technique-junkies-march-release-and.html . You can see all of the new release stamps can be seen here: www.techniquejunkies.com//march-2018/. And a big plus! All of the new stamps are all sale for 15% off through March 8. And you can get 10% off of everything else using the code TJ10Judy! Saving money is always a good thing!
. You do not want to miss any member of the Design Team's blog, so please make sure you hop through each one! Every stamp on every card on this blog today is from Technique Junkies stamps. 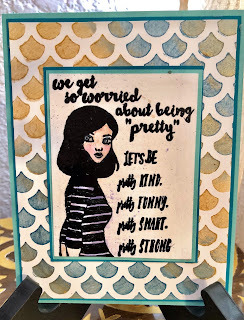 I also used a couple of stencils from A Colorful Life Stencils which are wonderful quality and easy to use. I used two different stamps here: Little Bunny - www.techniquejunkies.com/little-bunny; and Stop and Smell the Flowers - www.techniquejunkies.com/stop-and-smell-the-flowers/. I used the Interlocking Leaves stencil - http://techniquejunkies.com/interlocking-leaves-stencil/ with Art Nuvo glimmer paste - http://techniquejunkies.com/search.php?search_query=glimmer+paste . The flowers were punched out and Art Nuvo drops were added to the centers. The sky was sponged. 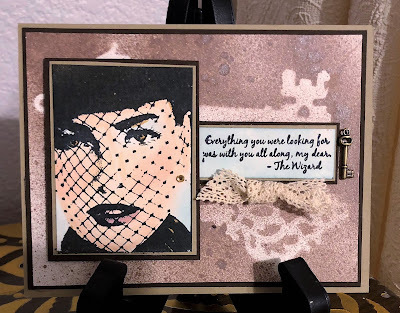 The background for this card was created with Art Nuvo Mousse - http://techniquejunkies.com/products-and-accessories/nuvo-mousse/ and a stencil from A Colorful Life Stencils - http://techniquejunkies.com/search.php?search_query=stencils . The stamp is Be Pretty - www.techniquejunkies.com/be-pretty/ - and is colored with Copic markers. 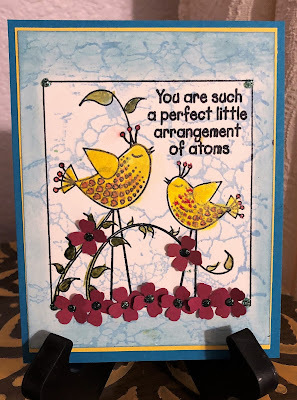 You will truly want to look over all of the lovely stamps and choose several stamps and take advantage of the 15% off sale of new stamps through March 8 but you may also use the TJ10Judy and get 10% off of anything else in her store.